TV media player boxes that stream over WiFi have become very dominate in homes in the last few years. This has to do with a TV box ability to stream video content over the internet straight to a TV. Making them ideal for cable cord cutters or anyone wanting the best TV experience possible. The Beelink AP34 is the only non Android TV box on the list. It is a small mini computer that comes with Windows 10 installed. It has a Celeron N3450 4 core CPU that goes up to 2.2 GHz along with 8GB of DDR3 RAM. It also has an internal 60GB SSD Hard Drive with 3 USB 3.0 ports and SD-Card slot. 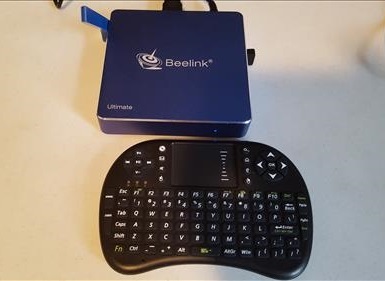 The Beelink AP34 is a good unit that has the same hardware as a mid-range laptop at a lower cost. The resolution can play up to 4096 X 2160 @60Hz, so it has no problems playing the new 4K Ultra HD videos. The AP34 is a good box with vry fast WiFi for those who like to use a familiar Operating System as a home entertainment system. It has a Quad Core CPU with 2 GB of RAM. The built-in storage is low (8 GB) but can be expanded up-to 128 GB with a SD-card. 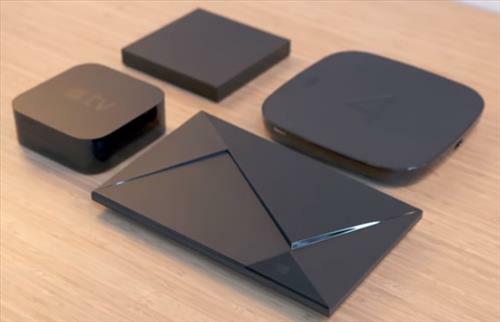 The NVIDIA SHIELD is a top media center box with many added features. It has a Quad core CPU and 3 GB of RAM. The WiFi is the newest 802.11ac 2×2 with MIMO (Multiple In Multiple Out). Most media center boxes come with limited internal storage space and require using a SD-Card or flash drive to add storage. The NVIDIA SHIELD has different versions that come with more built-in storage if needed. Up-to a 500 GB hard drive can come pre-installed. While more expensive than most boxes the NVIDIA SHIELD is definitely a beast. The H96 PRO PLUS is a Android TV box that comes with many apps installed including Kodi. It runs a S912 8 Core CPU and 3 GB of RAM. It also runs the newest 802.11ac WiFi. There is not much internal storage (32 GB) and is built to stream content from online. A SD-card or flash drive can be inserted to give it more internal storage if needed. If your goal is to stream videos from your favorite online sources than the I-Box does this well. Getting the best WiFi media center box that can play all your favorite content from the internet depends on your network setup. While many home have no problems streaming WiFi and video other homes can sometimes have bad WiFi issues. Many things can effect WiFi from walls to other wireless devices trying to get a signal through. The router used should also be looked at to be sure it is performing at the speeds necessary to stream online content. Keep in mind the new 802.11ac protocol while able to transfer data much faster than older protocols does not travel as well though walls or over distance. 802.11ac broadcast in the 5 GHz range while older wireless protocols use 2.4 GHz. Wireless-N the last protocol introduced has a transfer rate up-to 300 Mbps. While the new 802.11ac can transfer up-to 1200MBps. Streaming HD video requires only a 10 Mbps connection, so while the new 802.11ac protocol is faster in some cases wireless-N is better since the signal can travels better than 802.11ac. A wired connection will always be the best, but WiFi when setup right with a good media box is a good choice. Hi there! Thanks so much for this article. We are country dwellers and do not have access to cable. Satellite reception is iffy at best. We do have strong Internet connection. The trouble we are having is that the built in wifi in our Smart t.v. is not strong enough to communicate well with where our router has to be located (plus there is a drywall wall and a log wall in between) would an Android box help with a better wifi connection ? Our tablets and phones and laptops work fine all over the house. What should we look for? Thanks so much! !